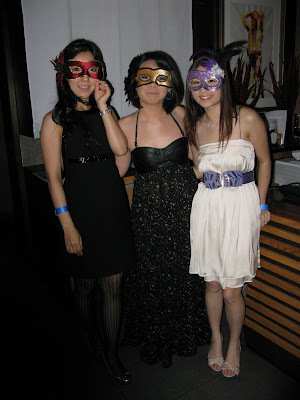 I went to Masquerade Fashion Cocktail Soiree yesterday with a few frens. 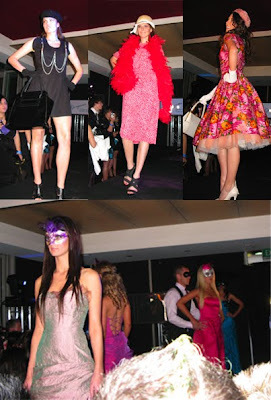 It was a charity event for Kids with Cancer. 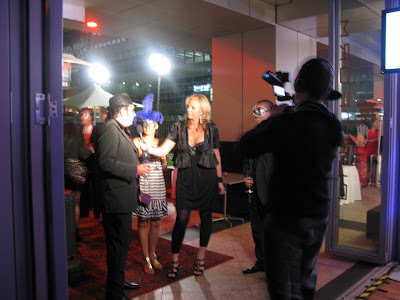 The event was held at The Platform, just right opposite Tony Roma's Restaurant. 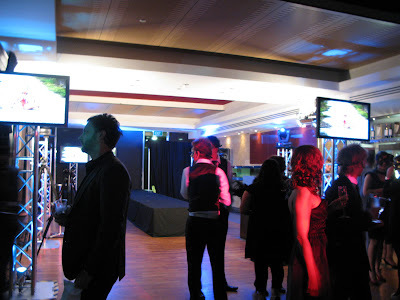 There were lots of people wearing beautiful dresses and the guys were all suit up! As for me, I got myself a beautiful long black dress. Leather on the top and slightly see through cloth with gold colour patches on the bottom. 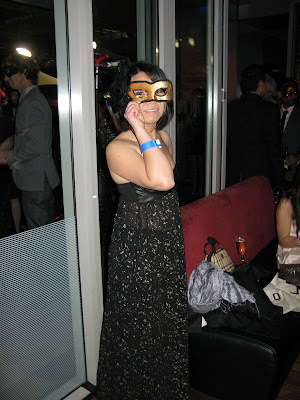 Thats me with my gold mask. This is us yesterday night. and my friend Christine with her friends Nadia and Stacie. Pretty hey! 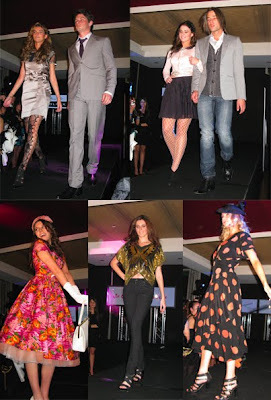 Below are some pics that I took that night on the runway. I think I missed out some of them but I guess this should do. Some of the clothes were outrageous and some were nice and pretty. 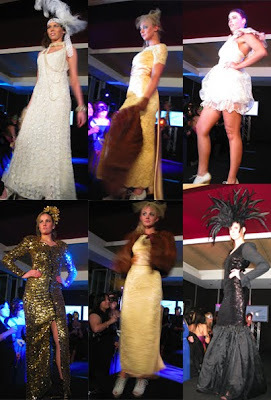 Runway Shows by: Politix, She Said Yoo Hoo, Alister Yiap, Samantha Jane, Billie and Rose, Ruth Tarvydas, Alanah Hill, French Connection, Bluespirit, Gorgeous Vintage, and Fashion by Myer. It was a interesting night for me as I never been to all these events before. I think I should go to more of these events to boost up my confident and talk to other people (I know that will never happen) But I think it was really a good experience for me. Although I feel a bit awkward yesterday night and left quite early, but I feel as a warm up, I did a great job haha.. Maybe I will do better next time by enjoying the event, and probably booze up!